If you are seeking a professional machinery and equipment appraisal from a third-generation equipment industry veteran, then you have come to the right place. 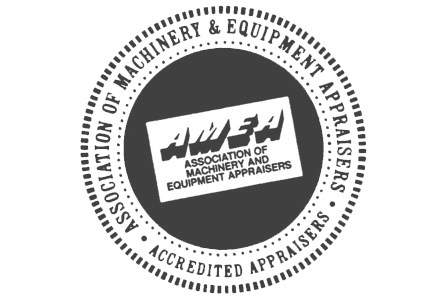 Aaron Equipment Company’s resident appraisal expert holds both Accredited Equipment Appraiser (AEA) and Association of Machinery and Equipment Appraisers (AMEA) designations. Every appraisal report we deliver is backed by 75 years of integrity, reliability and knowledge. Aaron Equipment Company is a recognized leader among used equipment dealers. We specialize in several appraisals types for the Chemical, Food, Packaging, Pharmaceutical, Plastics & Rubber, Mining, and Waste Water Treatment industries. Aaron Equipment Company provides appraisal services to industry lenders, banks, leasing companies, insurance companies, attorneys, CPAs, business owners, etc. What’s more, because of our expert appraisal reputation, we are often asked to act in a subordinate expert role in outside appraisal projects. With decades of experience in buying and selling equipment worldwide, we have developed an extensive database which we utilize to determine the most up-to-date information on machinery and equipment values. Our industry track record also positions us to expertly appraise single pieces of equipment all the way through to entire process lines and even complete plants. Rest assured that as an Aaron Equipment Company appraisal client, our appraisers will work closely with you to uncover your exact value classification needs and appraisal requirements. Our appraisal approach is a three-pronged process. We comprehensively view your assets in the field. We thoroughly evaluate market conditions. We compile our findings into a precise, industry-specific appraisal report that is customized to your needs. Why is experience so important in choosing an equipment appraiser? 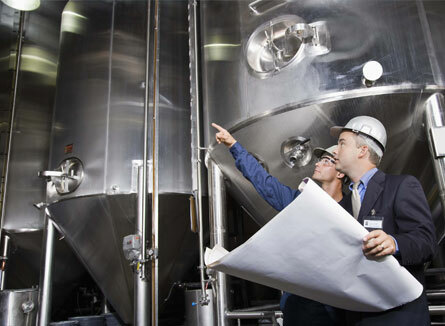 It’s because every machinery and equipment appraisal comes with its own unique set of issues that only an expert in machinery and equipment appraising can properly handle. Whether you select us as your primary appraisal firm or encourage your appraiser to secure us in a secondary support role, we hope you will entrust your appraising requirements to Aaron Equipment Company. Wherever you need us, no matter how big or small the job, our appraisers will provide you with a professional appraisal service. Accurate appraisal reports delivered in a timely manner—that is our promise to you. A professional opinion of the estimated most probable price expressed in terms of cash in U.S. dollars, F.O.B. the manufacturers plant, to purchase a new item of like quality and specifications. If such an item is unavailable, the appraiser has used his or her best judgment in estimating a value as of the effective date of the appraisal. A professional opinion of the appropriately defined value, expressed in terms of cash in U.S. dollars to be realized by the sale of equipment, in which the option is generated from lists and/or other informational materials supplied to the appraiser and evaluated without the benefit of an actual on site inspection. This opinion is not an appraisal and should not be used as an appraisal and is not recommended for use in credit decisions. A desktop opinion is used to determine the need for an appraisal of the scope of an appraisal.